If you are in the market for a compact SUV then take a look at the Cherokee’s little brother, the Jeep Compass. Lane departure warning, tire pressure monitoring, proximity radar, adaptive cruise control, and parking assistance are just a few safety features offered in the new 2018 Jeep Compass. This SUV will get you where you are going, not only with style but safely. 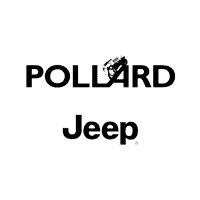 To choose which model is right for you click here or stop in to Pollard Jeep near Denver and drive one for yourself.